Cats are one of the most common household pets to have, and the hardest to please. However, cat lovers could say that’s one of the qualities they love best about their pets. Cats are classy as much as they are sassy, and it’s absolutely adorable. 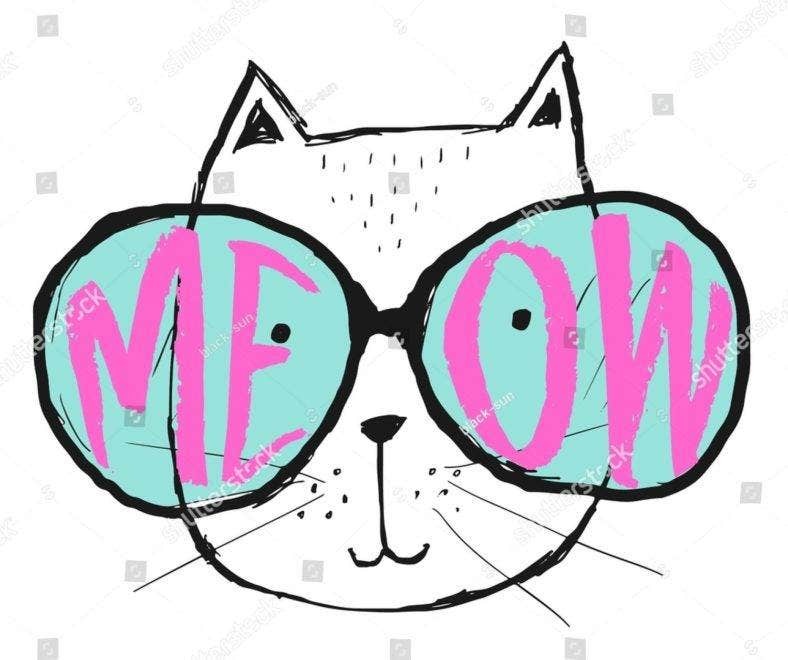 If you’re a cat lover and are up for having your day brightened even more, take a look at these cute cat drawings we’ve got lined up. Even better, download as many designs to your hearts content. 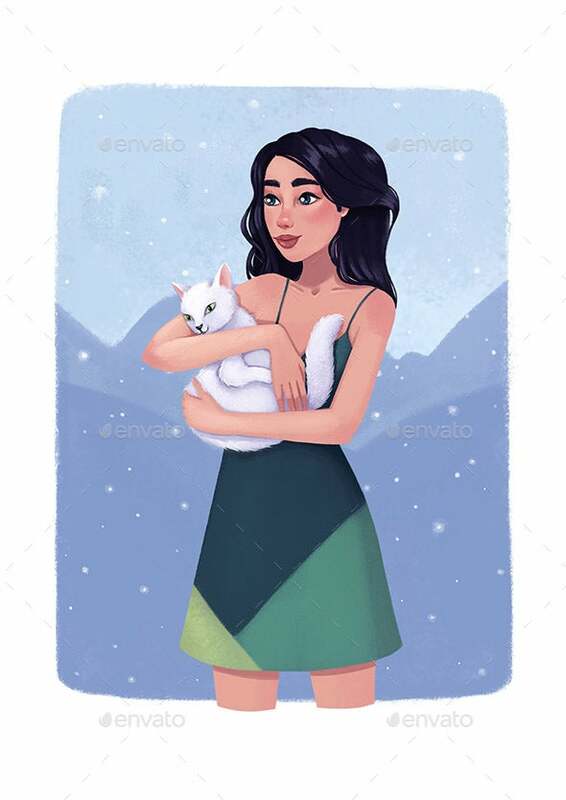 You can now have cat illustrations for your personal art projects, product designs, blog postings, and so much more! These free and premium illustrations are readily available for you to download and customize to fit your personal style. Get them all right here! 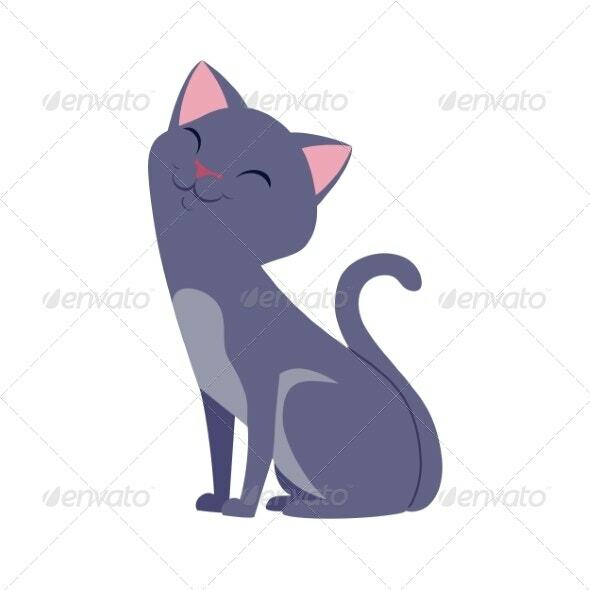 Download this Cute Happy Gray Cat Illustration because why not? Who wouldn’t love waking up to an adorable cat illustration reminding you that there are definitely good things to look forward to? (Such as spending time with your pet, of course) This design is for free and can be used for various purposes. This Cat Collection in Watercolor is definitely something you’ll want stashed in your design kit. Add in unique bursts of color with hand painted illustrations of cats for your greeting cards, social media promotions, and more. You can get this collection for free and easily customize to fit your designs. 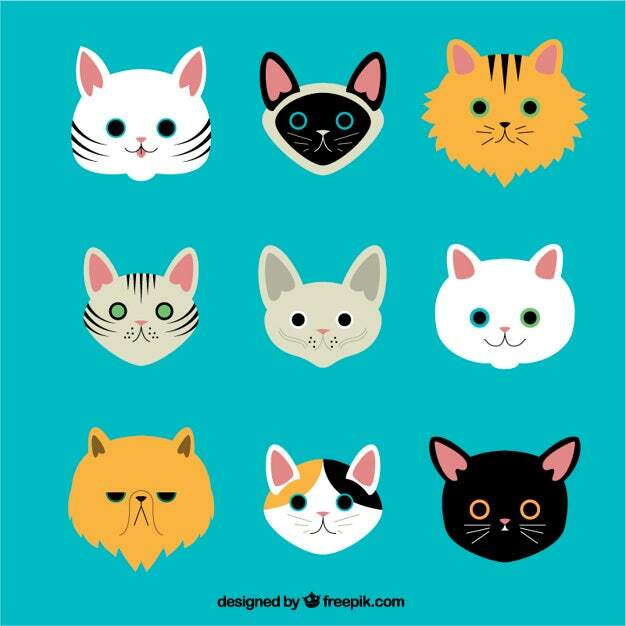 Looking for a cute cat vector? Get four instead with the Colorful Cat Head Illustrations up for download. They’re adorably colored in cute pastels that would suit well in party invites, cafe stationery, and children’s bedroom interiors. 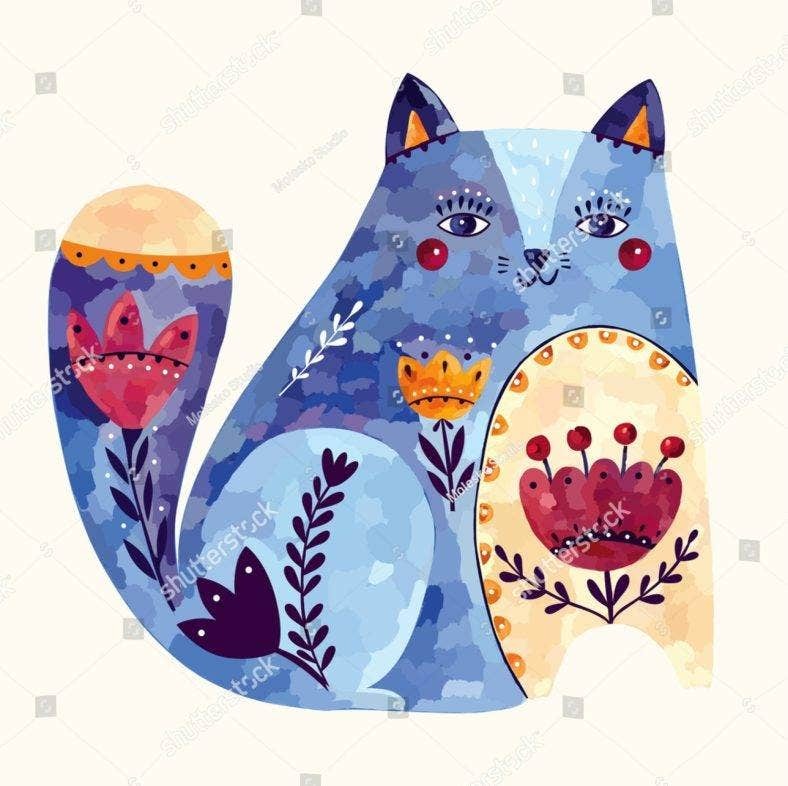 This wonderful cat illustration is perfect for your bohemian inspired art projects and designs. Download this Decorative Cat Illustration for free, and easily apply it to your letters, mugs, phone cases, and more. It’s a digitally painted cat illustration with floral patterns to make it look unique and interesting. Want more cute drawings of cats with flowers? Say no more. 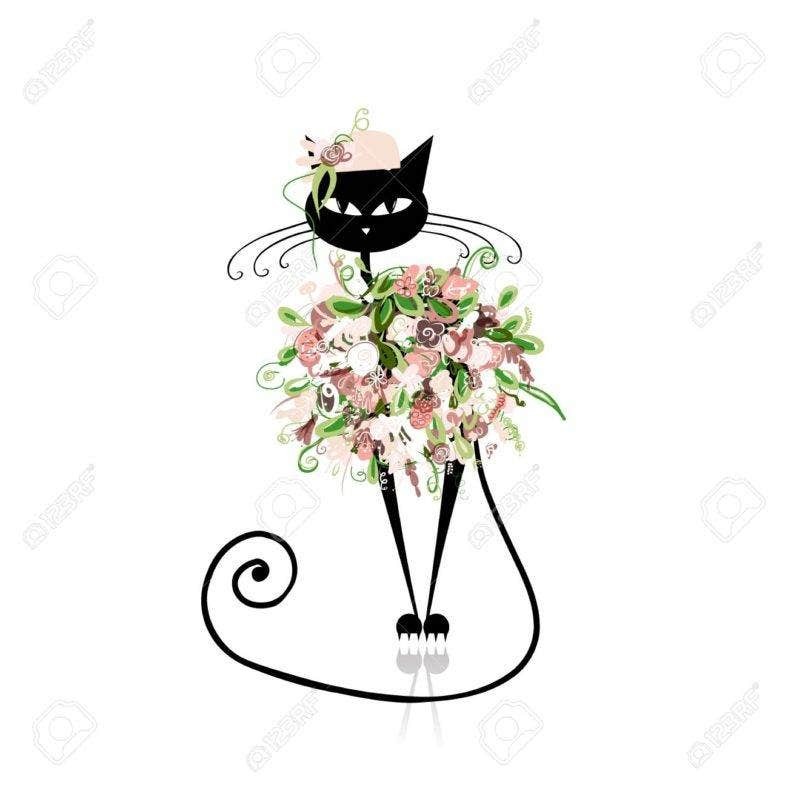 The Cat With Flowers Illustration Set is readily available for download and can provide you with high resolution JPG and vector EPS formats. 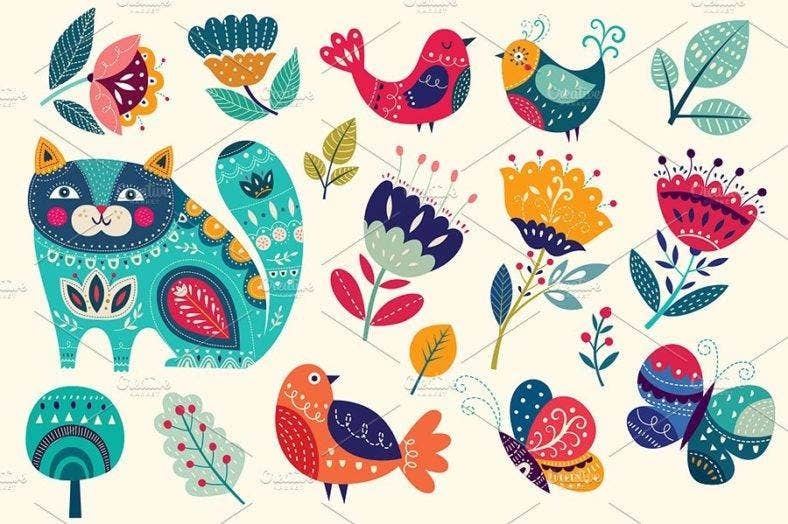 Create inspiring ethnic and boho chic designs with this illustration vector set. 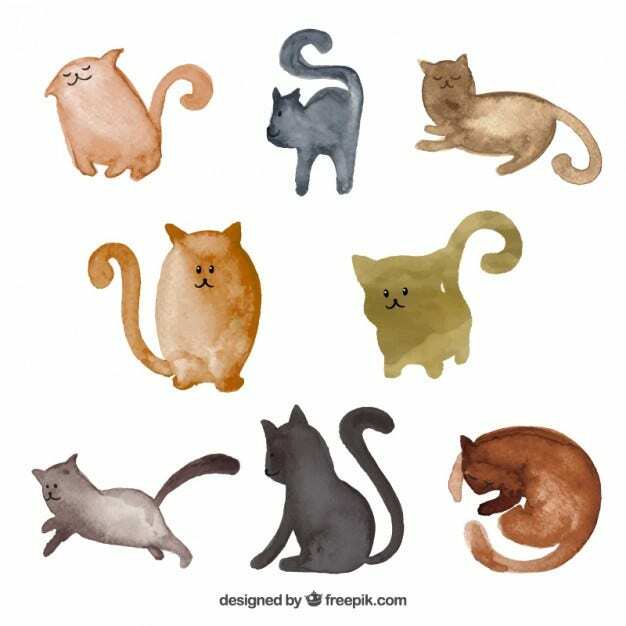 If you’re looking for different types of cat illustrations for your different types of friends, get the Variety of Cat Breeds illustration designs for free right here. You can use these vector illustrations individually or as a group, and have high quality outputs. The Cute Cat Head Pattern is available for download and it’s one you shouldn’t miss out on. Download this adorable seamless cat pattern for your desktop wallpapers, packaging designs, and more. It’s a free design you’ll definitely have a fun time customizing to fit into your designs. Looking for cute animal illustrations to go with your blog or website? 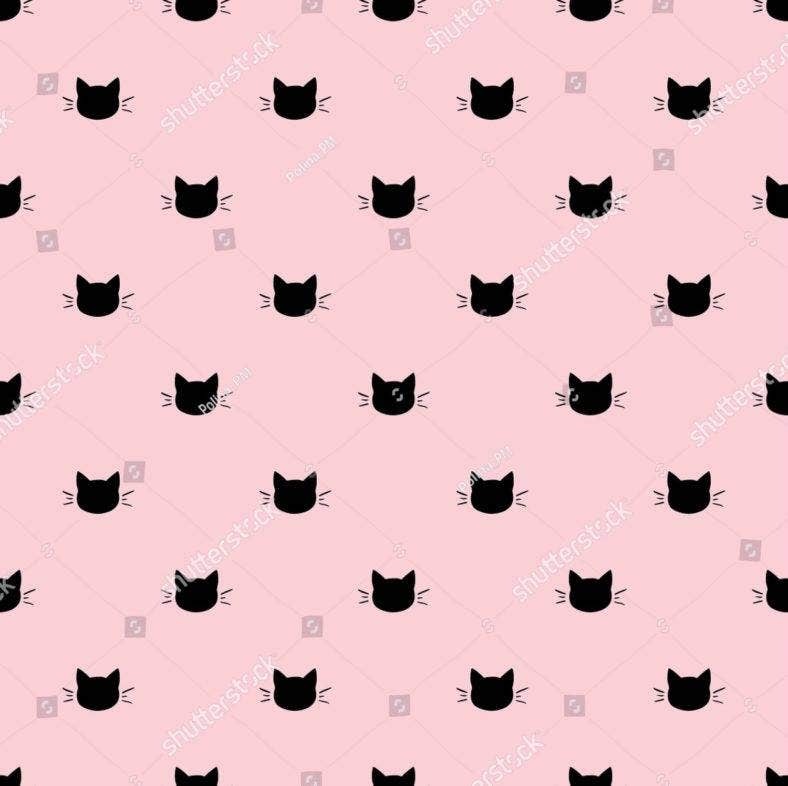 This Pink and Gray Cat Background is readily available for use with just a click of a button! 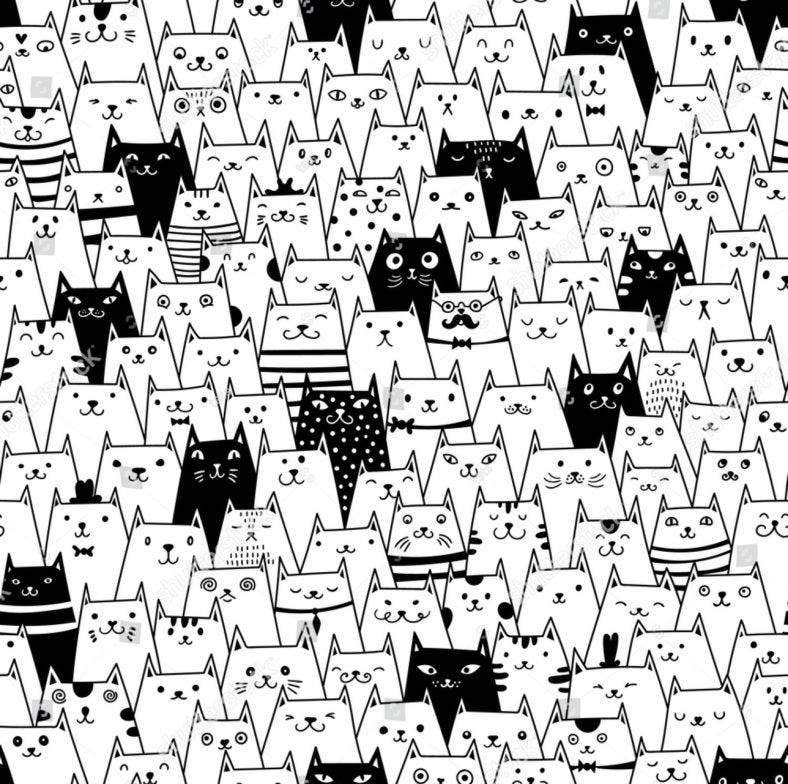 Download this cat doodle pattern for your website backgrounds, t-shirt design, or product packaging. The Girl with Cat Illustration is one digital illustration that’s sure to grab the attention of many. It can serve as a great book illustration with its dreamy and magical look. Download this illustration for your books, journals, or magazine articles. If you want fun and cute illustrations of cats and kittens, the Cute Kitty Illustrations are all you need. Get these doodle drawings of cats and typos for cards, invites, blog posts, product designs, and more. With this bundle, you’ll get seamless patterns, individual illustrations with organized PNG and EPS files to fit into your layouts effortlessly. Get creative with cat illustrations. 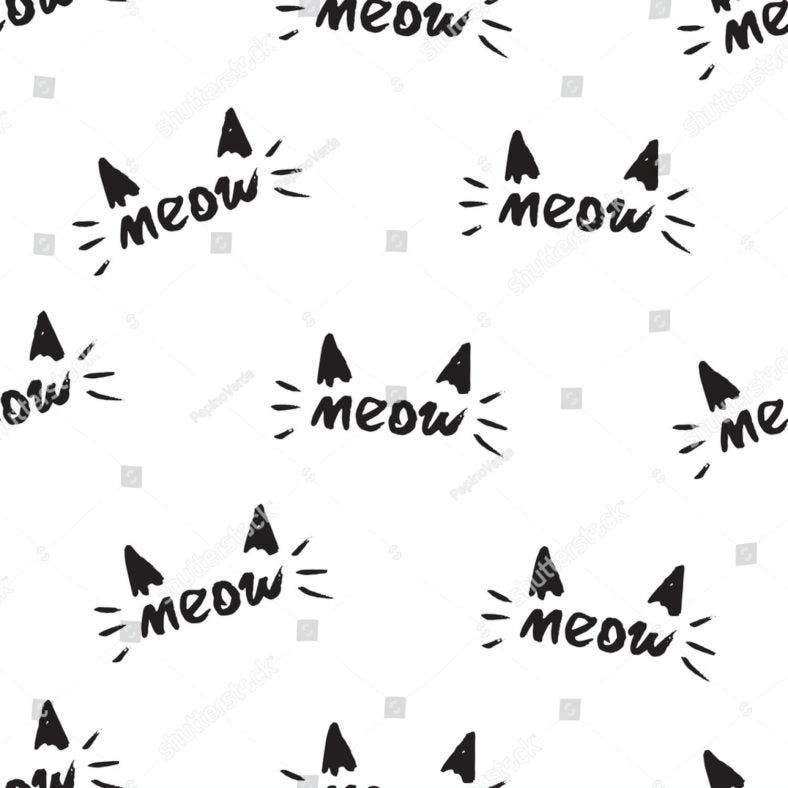 Much like this Seamless Meow Pattern, you can have clean and edgy all at once. 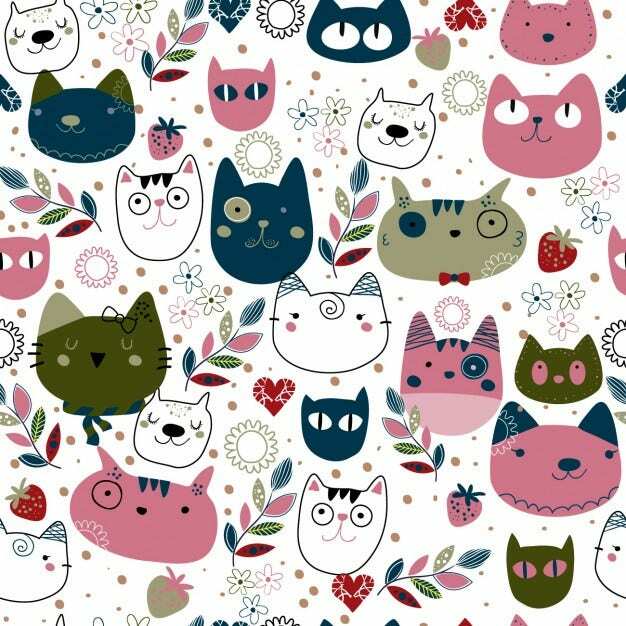 Download this cat pattern for free, and design your walls, notebooks, invites, and websites with this unique look. 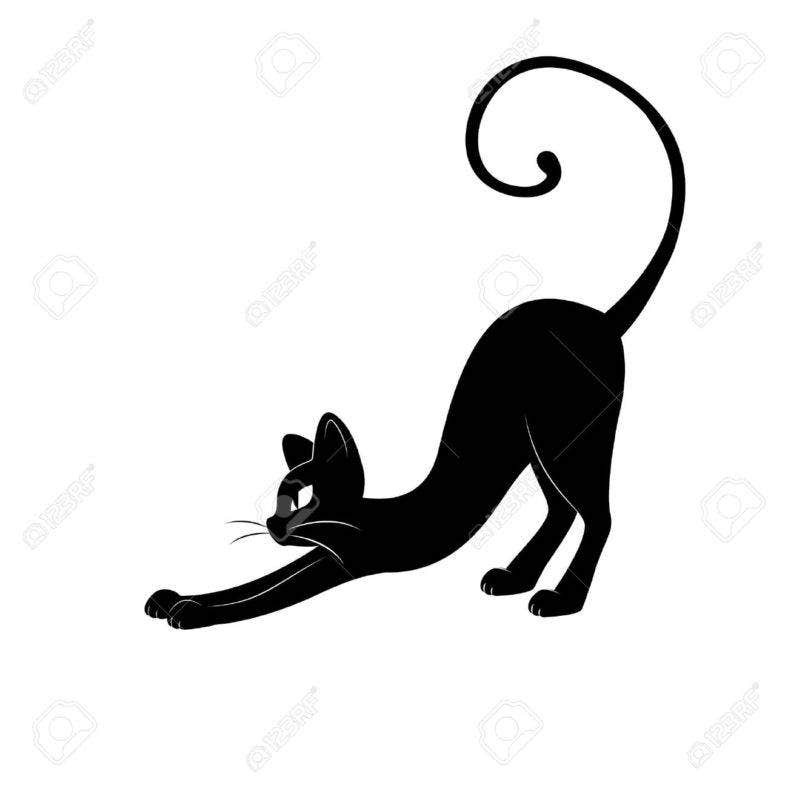 A great book illustration, this Black Cat Silhouette Stretching is up for download, and it’s absolutely free. Download this design for your character illustrations, logo designs, product designs, and more. One of the more common and sought after designs are cat silhouettes. 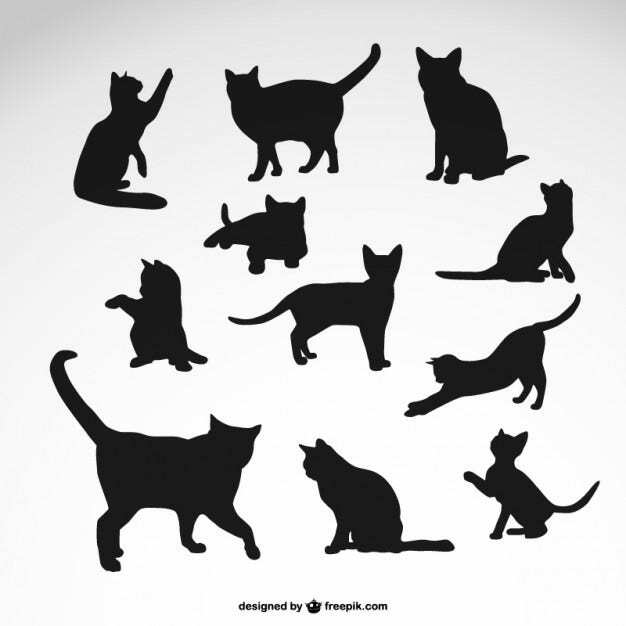 Get yours right here by downloading this Black Cat Silhouette Illustration Set. 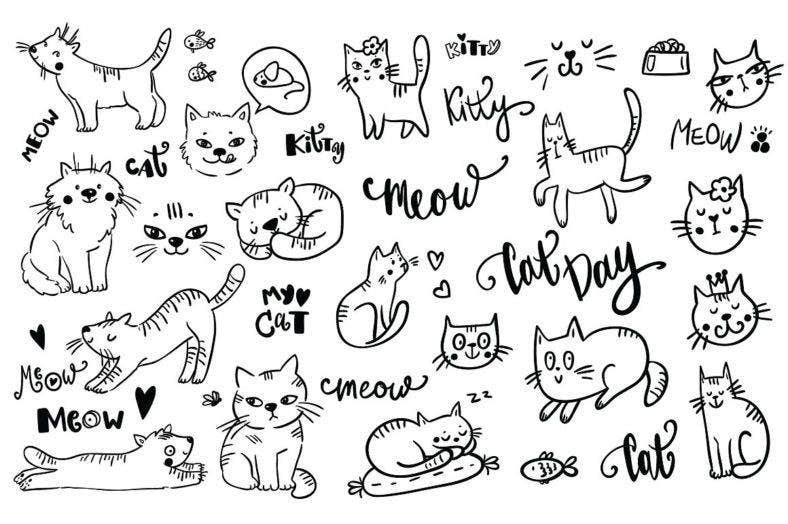 You can use these vector illustrations individually, and show various positions and activities of cats in your cards, product labels, and more. The Glamour Cat in Floral Illustration is up for download, and it’s highly editable. Get this unique cat illustration for your garden party invites, restaurant or cafe stationery designs, or cosmetics branding. It’s utterly sophisticated and chic, and would look good on luxury products and designs. 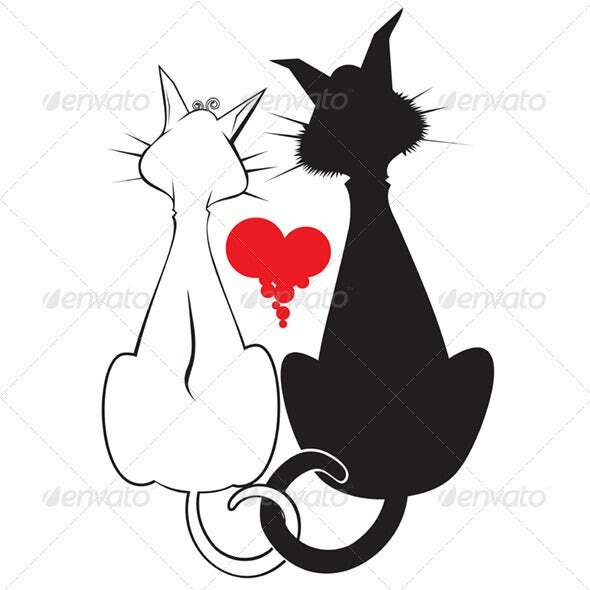 Fall in love with this Cat Couple Illustration, and download it to send others their own cute cat couple illustration as well. It’s a pretty simple silhouette design with a heart in the middle. You can use this illustration for minimalist Valentine’s card designs, logo designing, and more. 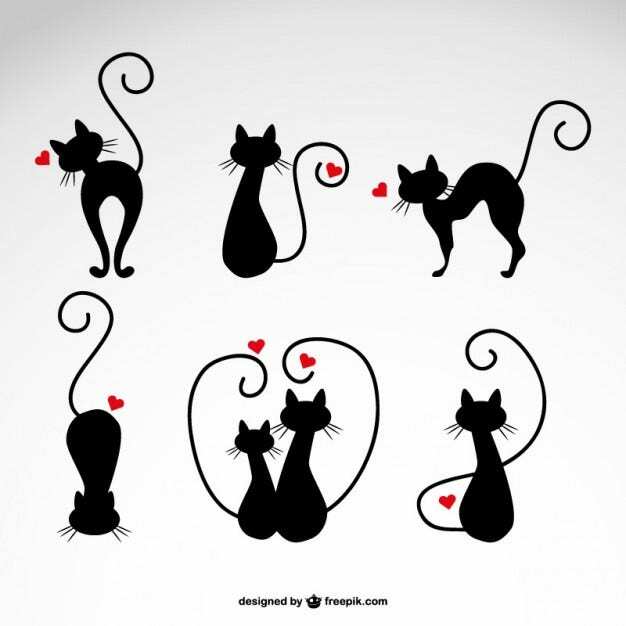 Give some love using cat silhouettes and illustration with this Cats in Love Silhouette Set. It’s the perfect love illustration for cat lovers on Valentine’s Day. You can take your pick from the illustration set, and send different designs to different people. You can also use these for gift products, tags, or logos. If you’re looking for cute cat doodles, this one does just the trick. 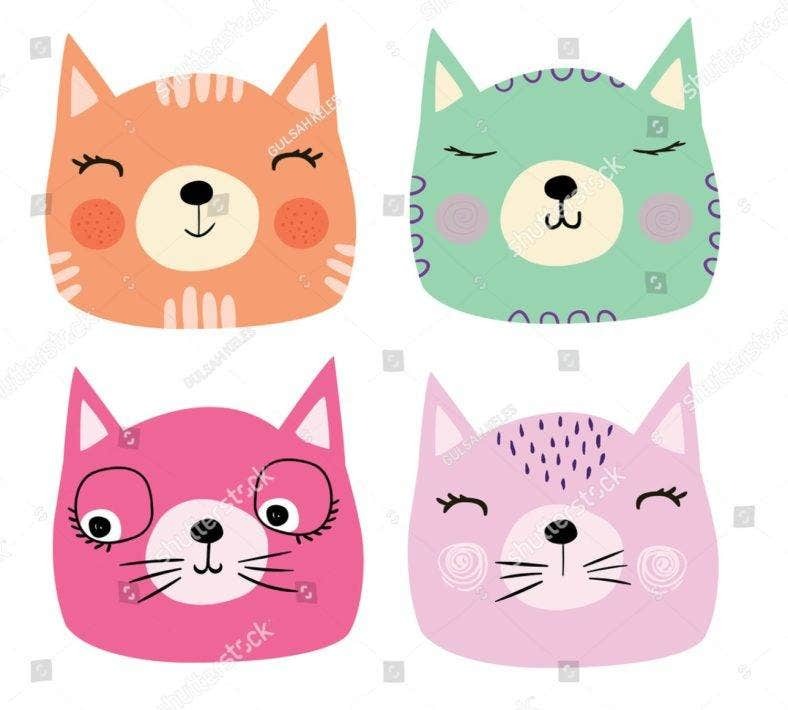 Download this Cute Cat Doodle Set and use it for various art projects and designs. You can easily customize this design and use individual illustrations for different designs. Create fun book illustrations, event invites, and social media posts with these doodles. Go for weird and avant-garde with this Ornamental Seamless Cat Vector Pattern. 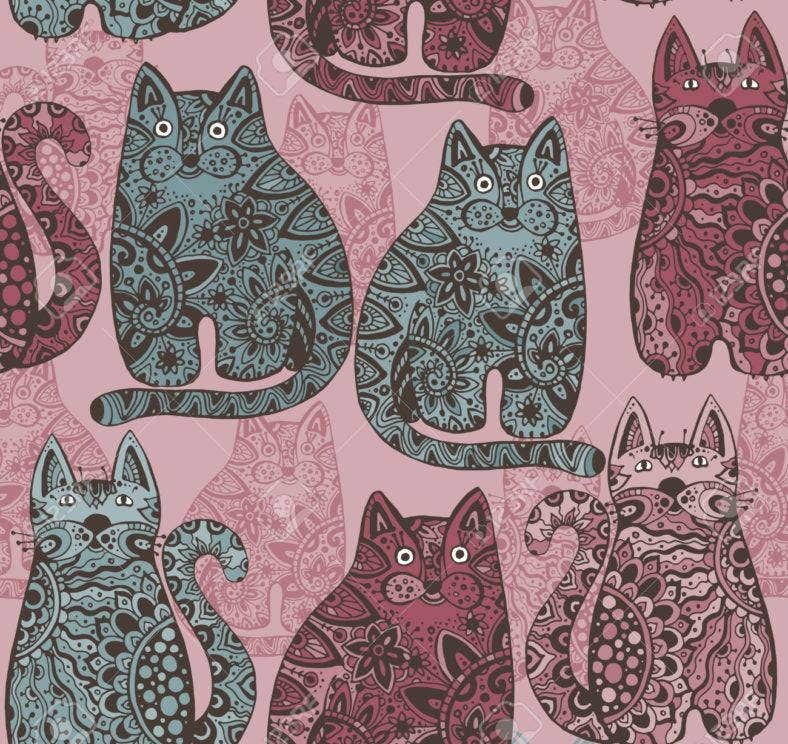 Download this illustration for funky ethnic and paisley patterns with cats! You can use this for fabric prints, event invites, posters, scrapbooks, and the like. If you want simple and adorable wrapped in one, the Pink Cat Background is up for grabs. Download this cat silhouette background illustration for your desktop wallpaper, cafe stationery, product wrapping paper, and so much more. It’s a lovely design for your little trinkets and art projects, and is easy to customize. 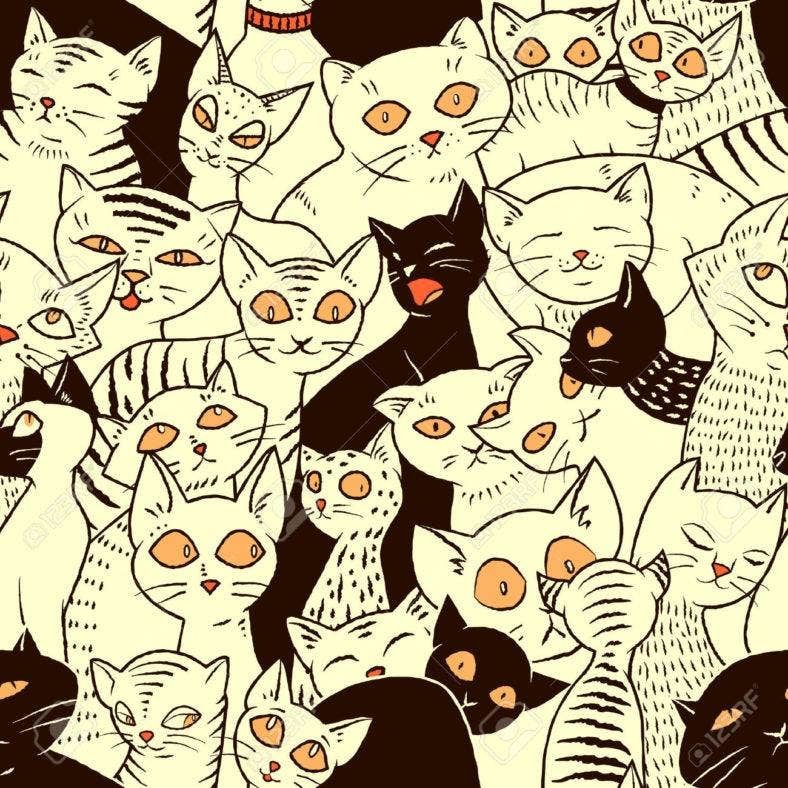 No other design can give you cool and charming than these Cool Cat Illustration Patterns. 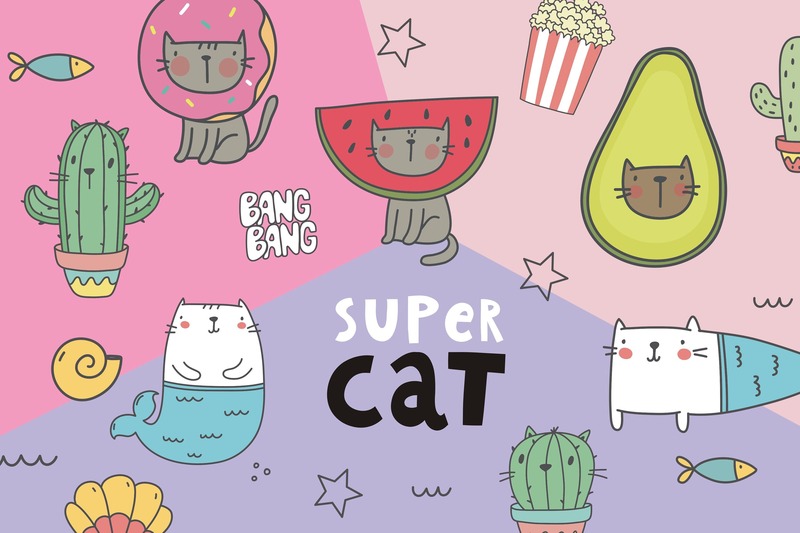 Get this awesome bundle of cute drawings and patterns of cats taking on different characters such as mermaids, fruits, and cacti. 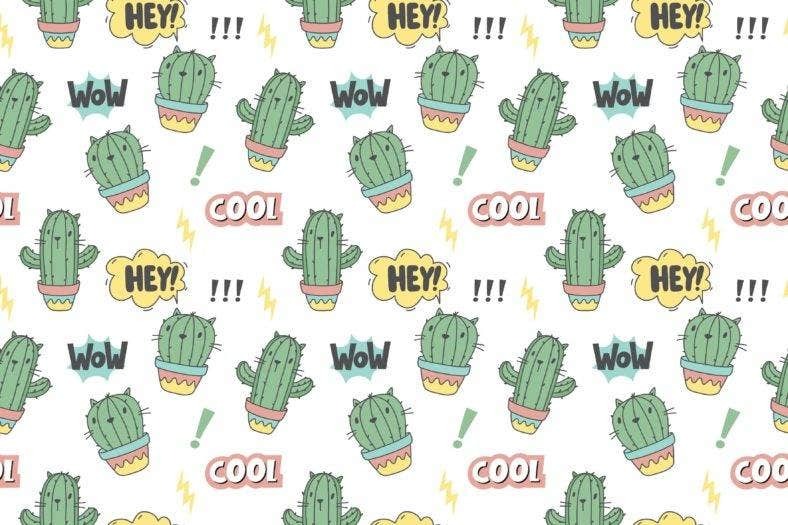 Together with comical typos and texts, you’ll get cool patterns for your desktop and phone wallpapers, t-shirts, store interiors, and website posts. Look absolutely cool and adorable with this Meow Cat Head Illustration up your sleeve. Literally. You can downlaod this design for free and use it on shirt designs, keychains, product tags, and the like. It’s an easy to edit and print ready design so don’t hesitate to click that download button. What’s better than your love for books and cats? The perfect illustration that captures them both. 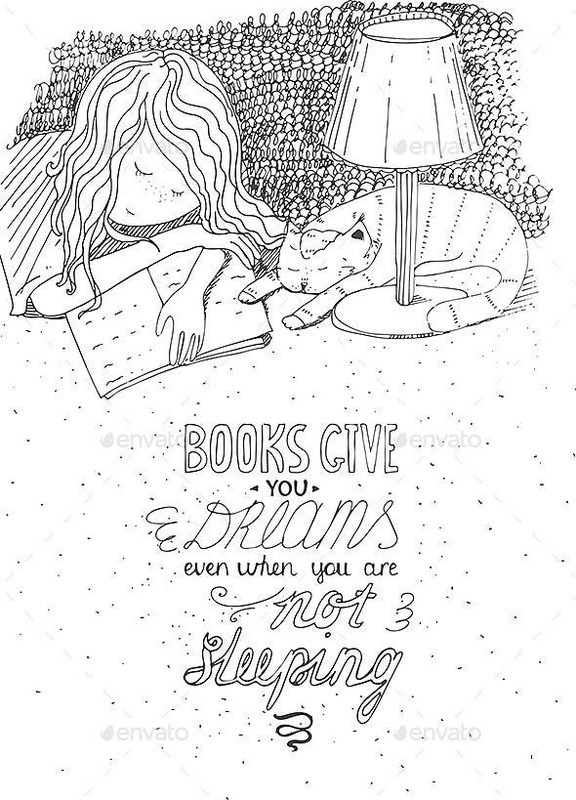 This Girl with Books and Cat Illustration is everything you’ll need to keep yourself inspired. Download this black and white illustration for your wall art, journal designs, or blog. It comes with various other illustrations in different settings that can cater to your every mood. 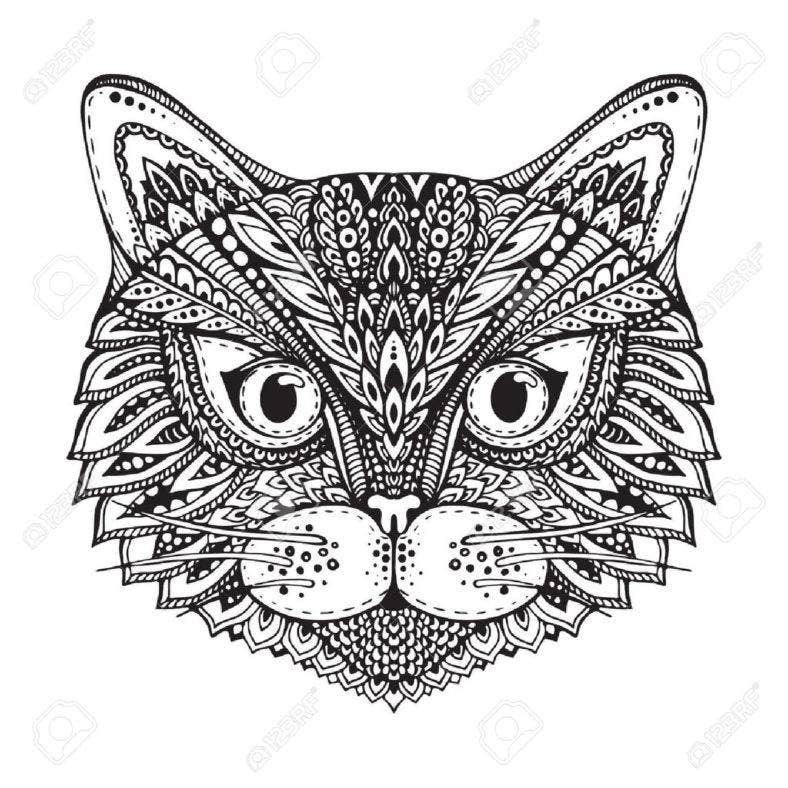 If you love tribal illustrations as much as you love cats, why not fuse them together? The Aztec Cat Head Pattern is freely available for your bohemian soul. You can easily download this design and incorporate it in your cards, shirt designs, event flyers, websites, and more. Learn to speak in cat emojis with this Cat Emoticons Illustration Set. You can get this bundle for free and have as much fun with your friends using them. Download this awesome cat illustration set for blog posts, label tag designs, stickers, and product designs. Tired of the usual animal drawings you’ve encountered lately? Go for something more classic and unique such as a vintage-themed illustration design. This Seamless Vintage Cat Background contains a lot of character and personality, and is absolutely free. 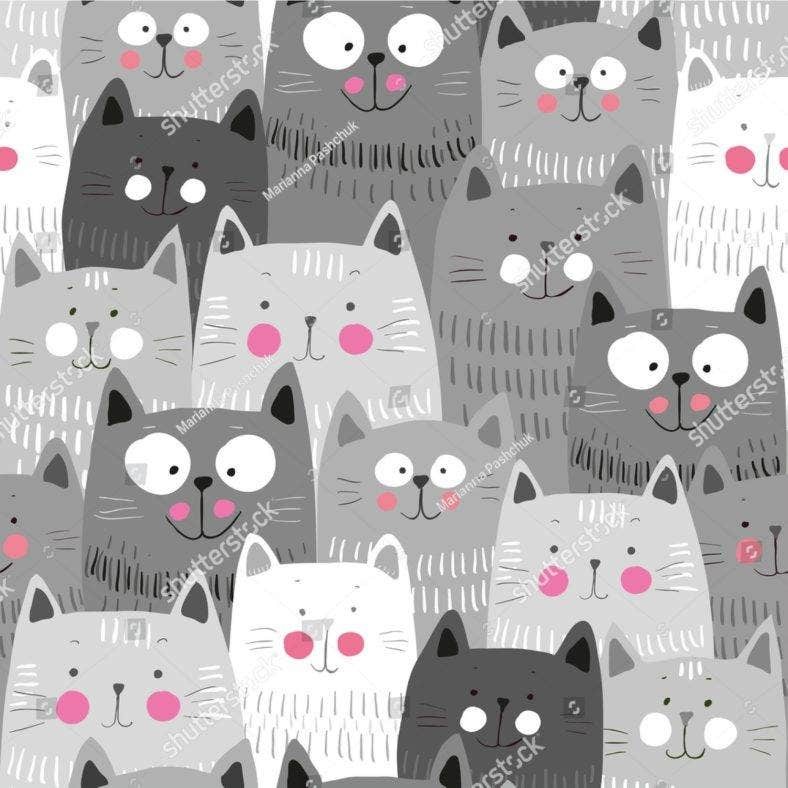 You can download this cat illustration design and use it for your book covers, wrapping paper, and cafe interiors. 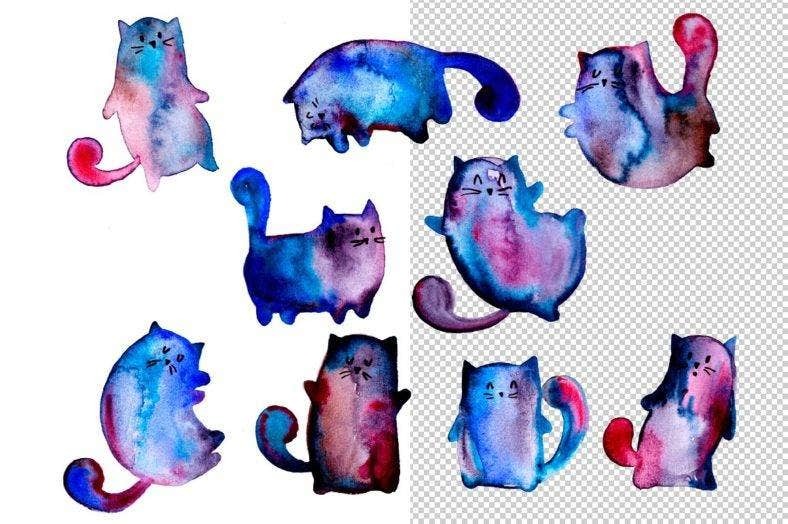 Get these amazing Watercolor Cats for your cat collection, and never run out of unique designs for your phones, journals, invites, and wall art. There are print-ready watercolor objects with 1500×1500 px size; perfect for your scrap booking and other huge printing. 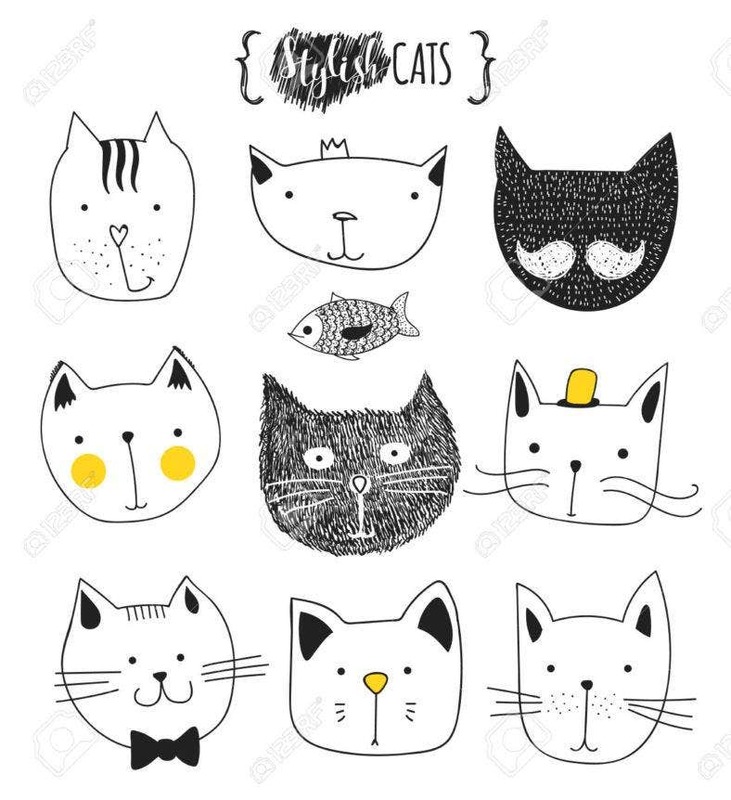 Download the Black and White Cat Head Background for fun book illustrations, journal covers, phone casing, wall art, and more. It’s freely available so go on ahead and get yours with a click of a button. This design can give you high quality for both print and digital use. Looking for unique animal vector templates? The Cats with Cat Stuff Illustration Set is packed with simple and unique illustration designs you’ll want for your personal and professional design pieces. 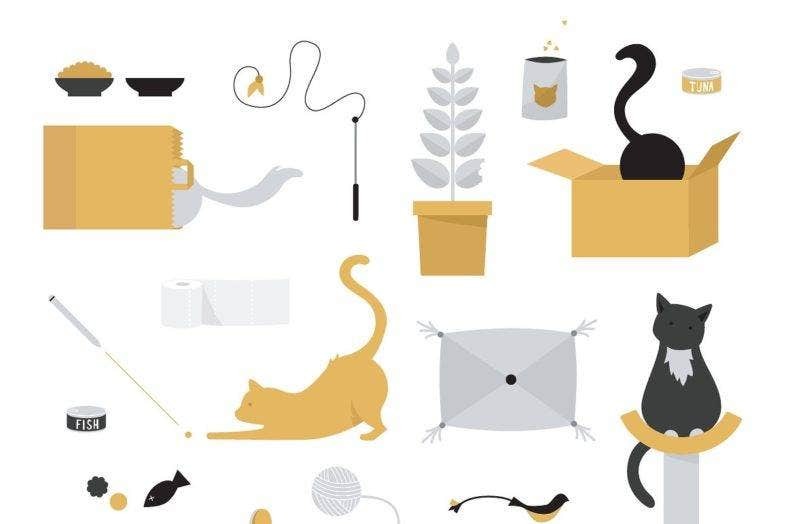 It’s complete with vector illustrations of common cat trinkets and toys with playful cats for your cat store, cafes, event invites, and website posts. In need of cat logos? This illustration will happily serve you or your company. 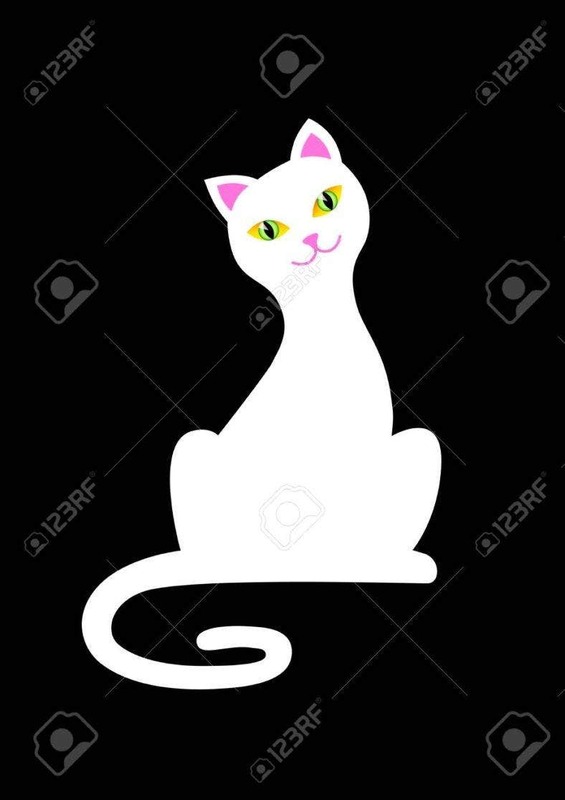 Download the Smiling White Cat Illustration for your professional logo design, product label design, or cat cafe branding. You can get this design for free and have an easy and convenient time customizing it to fit your brand. Cats really do make the world a happier place to be in; and having tons of cat illustrations makes it even better. If you’re looking at a handful of favorites, don’t hesitate to download all of them. These are high quality designs that are sure to make your projects or products even more charming and attention-grabbing. You may also check out amazing portrait illustrations for more awesome designs. Stay inspired!